A lot of people want to be leaders. In the church, or in parachurch ministries, there is within many a desire to be recognized as a leader. After all, leadership allows for influence, it generates respect, it validates the significance or ability of a person. Some will want to be a leader because they want to serve others. Some will want to be a leader because they want to be served by others. Most will probably fall somewhere in between. Nobody has perfect motivations, but that is not to say we are all equally flawed in that regard. Some churches and organizations would be spared significant turmoil by being careful not to appoint leaders unwisely. The New Testament gives instruction on the qualifications for a church elder (and deacon) in 1 Timothy 3 and Titus 1. Churches would do well to take those lists more seriously. Too many churches appoint leaders based on capacity instead of character, and not every church survives to tell the tale! I have never seen a church thrive without leaders that fit those qualification lists, and I have always seen churches struggle when one of the leaders falls short of what is required there. I have heard people dismiss Paul’s lists as standards that maybe ideal, but are actually impossible in real life. The problem is that I have been blessed to have been shepherded by church leaders that do measure up to that standard, so clearly it is not impossible. The standard is “above reproach” rather than perfection, and the qualifications are all measures of godly character. The challenge we face is that the features of an immature character are typically not seen in the mirror – it has to be the perspective of others that is trusted. This is why the church should recognize maturity, rather than a self-appointed leader declaring his own suitability for a position. Character – A Leader in Relation to God. I think it is important that we recognize how our character is shaped by God over time. Having a naturally calm manner is not the same thing as spiritual maturity any more than having a naturally extroverted temperament is the same as a spiritual gift. Over time God is at work in our character, shaping us and changing us. Some fruit of the Spirit may come very quickly, but others will take years to ripen in us. Let’s never fall into the trap of excusing our own sin by simply saying it is the way we are wired. Let’s never appoint people for leadership based on their apparent gifting or ability, while giving a pass to aspects of their character that raise red flags to people who know them well. A more mature me will be more Christlike in every area of character than I am today. (1) The leader’s response to stress. A more mature me will not release pressure in fits of rage, nor escape stress by abusing alcohol (just to be clear, I am not saying that the current version of me does these things, but it is always helpful to recognize that I still have plenty of room to grow!) Leadership is not a ministry practiced in tranquil moments of calm, but often it will be required in moments of stress and tension. (2) The leader’s relationship to family. A more mature me will not neglect my marriage or parenting in order to chase my own ambitions … it is concerning to see Christian leaders with dysfunctional home lives – whatever our culture, may we model a Christlike devotion to spouses, children, parents, etc. as a top priority. (3) The leader’s reputation with outsiders. A more mature me will gradually be seen more favourably with members of the community. Interestingly, there may be some folks whose reputation earned in their pre-conversion days might never be fixed post-conversion … or perhaps they need to spend a season as evangelistic witnesses rather than leaders so that their old community can see the change! (4) The leader’s handling of revelation (i.e. the Bible). A more mature me will be increasingly someone who can handle the Bible well, submitting to it, and able to share it with others for their encouragement or to challenge them. I don’t believe this is saying church leaders must have a specific spiritual gift. Whether a leader can preach well or not, they must be able to handle God’s Word like a mature believer! My responsibility is to recognize that God is the one who will continue to grow me in all areas of character. My church or ministry’s responsibility is to recognize if I have matured to a suitable level – above reproach – to be burdened with a position of leadership. So, let’s be sure to recognize people in Christian leadership whose lives demonstrate appropriate levels of spiritual maturity. As we think about ourselves, let’s be sure we pursue growth by drawing near to God, rather than by trying to practice our way to certain character qualities – that will never cut it when the pressure comes! Before we look briefly at two more important “relationships” of the leader, let me add one very important point to this one. We have looked at the leader in relation to God in respect to the leader’s maturity and character. This is the qualification for leadership. But there is also the leader’s vitality and spirituality: this will determine the quality of their leadership. And again, we cannot practice our way to a thriving spirituality, it will come from a healthy and vibrant relationship with God. 1. Just because someone has a strength in some of these areas does not mean they should be recognized in leadership. By all means let them serve the church according to their strengths under the leadership of others, but give their character time to catch up with their capacity or learning before you appoint them to positions of responsibility. Chemistry – A Leader in Relation to Others. Nothing will wipe out the leadership of a church or ministry as quickly as a toxic team environment. Unhealthy competition, bad attitudes, awkward communication, political maneuvering, self-promotion, and so on, will all poison a leadership team very quickly. Every leadership team will be attacked from outside, but that is typically far more bearable than the tension that can come from within the team. How does this tension get there? There are probably a thousand different paths, but they all seem to start in the same place: the presence of leaders who are not qualified by mature Christian character. Leadership is never presented as an easy prospect. It will add pressures, it will bring criticism, it will feel thankless … and thankfully, leadership is not a requirement for everyone. If you are leading or aspire to lead, this is a good thing. Thank you for your ministry and service. But whatever your current experience may be, remember that it is God who desires to grow your character, and it is in relationship to Him that you grow. Whatever the burdens may be, and whatever the expectations may be, keep your relationship with Jesus right at the centre of your priorities: that is the foundation for all Christian leadership. Any preaching ministry involves giving. You give of yourself in preparation. You give of yourself in delivery. And often you feel spent when you are done. But the relationship between visible ministry and giving is a complex one. Public ministry is certainly demanding, but it can also come with its own rewards. People see you. People may respect and appreciate you. People may even pay you. Once there is reimbursement in the equation, then the giving nature of ministry can become murky. This is why I think Andy Stanley’s quote is so important for those of us who are involved in visible ministries – whether that is preaching, or teaching, or leadership, etc. What are you giving in secret? Please don’t comment and answer that question! 1. If all your giving in ministry is public, then your giving is not secret. There is something about giving of ourselves without attention that is so important. 2. If all your giving in ministry is public, then your giving is being rewarded. There is something about rewarded giving that somehow undermines the reality of the giving. 3. Even if you ministry is public, there is plenty you could give that is not. Obviously there is financial giving, but there is a lot more too. 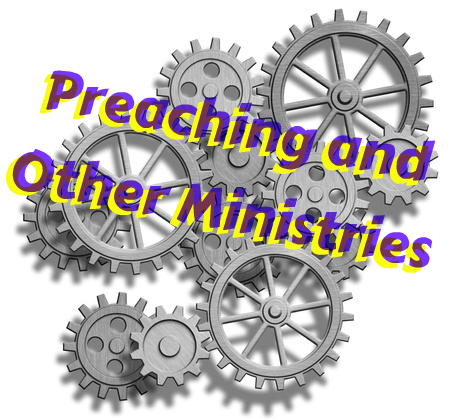 What about mentoring other preachers and leaders? What about leveraging your contacts and resources for the sake of others in ministry? What about strategizing together with others about their ministry? What about dreaming together with an individual and believing in them as they launch something you aren’t associated with? What about encouraging folks by private message, personal phone calls, etc.? What about praying – and not just for your own ministry and its multiplication? The value of your life is not measured by the profile you achieve in ministry, but by the reality of how much of it is given away. The great temptation in any leadership is to think that my leadership is about me. It isn’t. True leadership will be more concerned with those that I lead than me as the leader. And true leadership will always recognize that I can only give what I have first received. As I write this we are about to start into the fifth year of the Cor Deo full-time training program here in England. It is a small ministry focused on mentoring and training participants to multiply ministry that will make a profound impact. What can we give to these participants that we did not first receive? Nothing. The best leadership, the best mentoring, and the best teaching, will always be overflow leadership, overflow mentoring, overflow teaching. That is, as I have received, so I can overflow to others. The great danger for any leader, mentor, or teacher, is to start to think that our ministry comes from our own capacity, our own ability, or our own accumulated knowledge. 1. Personal Gratitude. It is not enough to be grateful when nudged to be grateful. We need to continually return to a place of gratitude as we give ourselves away in ministry. Let’s be thankful for all the training we have received, conferences we have attended, books we have read, and mentors we have been blessed to spend time with. Thankfulness reorients our hearts to God’s kindness toward us. Actually, it is not just the obviously good gifts that have brought us to this place in our ministry. Great ministry is typically forged in the crucible of significant challenges. But without thankfulness, challenges typically bring only bitterness. Let’s be thankful for all the difficult situations, setbacks, apparently unanswered prayers, opposition and disappointments. Good ministry comes from overflow, not personal capacity (where I have learned, and I have accumulated, and I have become . . . the gravitational pull of our flesh will always reorient our hearts to self-praise). Gratitude is a vital ingredient to maintaining healthy overflow ministry. 2. Spiritual Integrity. God has invested a lot into each one of us over the past years. The obvious blessings, the careful character sculpting, etc. Gratitude protects us from believing that we have made ourselves somebody significant. But there is another issue that I hinted at already – the danger of stagnancy. Past blessings can quickly grow stagnant if there is not a present reality to my spiritual walk. I cannot dispense teaching or leadership from a reservoir that was filled twenty years ago, or even last month. For all of that to be fresh today, it must be stirred by the present reality of a personal walk with Christ. The Bible uses language of God pouring out his love into our hearts by the Holy Spirit (Rom.5:5). Elsewhere Paul uses the present tense to speak of being filled with the Spirit (Eph.5:18). God pours out His love into my heart and consequently I can love in leadership, in mentoring, in teaching . . . but if the gaze of my heart shifts from Him to myself, then my reservoir starts to drain down and grow stagnant. Without the present reality, all the past investment loses its present value. As I head into another season of ministry, I want to be grateful for all I have received, and make sure there is a present dynamic reality of abiding in Christ’s love so that I can overflow to others. We cannot give anything of value that we did not first receive. Not just what we received in the past, but also what God wants to give us today. There are ups and downs in ministry, often from week to week and even day to day. But there is another danger too. It is the long term half quit over the years or decades. 1. Church Battle Scars – Church ministry can be a real battle ground, sometimes out in the open, often under the surface. For some reason people seem to choose the church as their venue for political significance and they can really go after those who have any up-front ministry. Gossip, slander, attack, critique, and so much more. It shouldn’t be, but it too often is. 2. Spiritual Warfare Fatigue – There is a spiritual warfare dimension in ministry. The enemy loves to attack those with any prominence. We should not be unaware of his attacks, and over time we may well feel worn by the experience. There are times when stepping out of the ministry feels genuinely tempting. 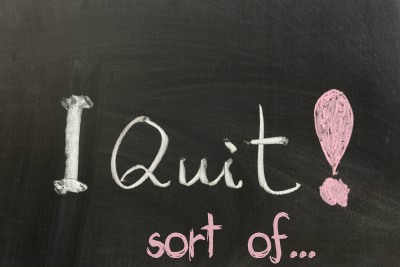 The half-quit is the more acceptable option that too many fall into. 3. Emotional Drain – Someone said that preaching is the closest thing men come to giving birth. I’ve been at a few births and I wouldn’t want to push the analogy, but there is something to it. We give of ourselves in preaching, and then again, and then again. It can be emotionally draining to pray so intently, hope so absurdly, preach so intensely and then go at it again. Over time the drain can leave us functioning in second gear through the whole process. Simple question – have you made a personal commitment to a lifelong pursuit of mastery of the Bible? Clinton refers to the Navigator’s five-finger approach, then his personal “core books” approach. I have a foundation and brick wall approach. The specifics don’t matter here. The question is, do you have a specific, describable, tangible, practical, effective plan to pursue mastery of the Word of God? We have too many preachers and pastors and leaders and influencers in the church today who are informed by contemporary bestsellers, educated both in Christian and secular approaches to ministry or organizational leadership, up-to-date on cutting edge ministry ideas, pragmatically plugged in to the busy schedule of life, connected to an insane level, thoroughly saturated in networking media, blessed beyond belief by access to a library not even dreamed about in history, functioning in overload on multiple levels . . . but, good as some of these things may be, fundamentally weak on the core need of anyone seeking to be a man of God – mastery of, and by, the Word. Can you take a piece of paper and write down your strategy for mastering the Word of God, and in the process, being mastered by it? Can you write down where you are in the process? Can you immediately state your current study focus in this pursuit? Can you identify several areas of biblical weakness, as well as some specific areas of relative strength? Let’s say, for argument’s sake, that you have something to share that is not the normal biblical sermon. Perhaps you have an announcement to make, a vision to cast, an update on the new building project, some other leadership issue to address. Even though you are in church, don’t automatically attach a Bible text. Typically, if not always, there will be a biblical basis for what is being communicated or done. It is obviously fine to share that, but make it clear that is not an authoritative warrant for the action. For example, you can present a biblical basis for fellowship, but don’t leverage that biblical content to add pressure for attending a church social event. There are biblical examples of God’s people working together on a building project, but that is not divine pressure for your people to sign up to the current project. It is fine to give some biblical support, but evaluate if it is really fair and helpful. Don’t automatically attach a Bible text. Just because you’re in church doesn’t mean every announcement has to be “sanctified” in this way. Let people evaluate what they hear on its own merits, not with the unnecessary pressure of apparent biblical warrant. This is not a hard and fast rule, it’s a judgment call. If the church is following through on church discipline, I would strongly suggest you do give a biblical explanation for the procedure. But for a social event, just take the pressure off and let them choose!